Find out where you can purchase our product at our store locations page or email us at info@twinkleglobe.com. Description: Sitting in the middle of this beautiful waterglobe is a serene ballerina tying her shoelace that turns to the melody of Tales from Vienna Woods. 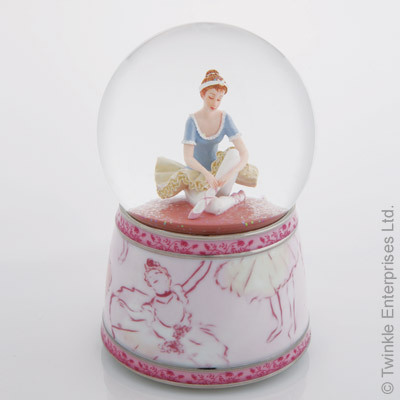 The lovely porcelain base is decorated with Impressionist-style ballerina figures in a soft pink colour. Description: This elegant ballet couple is dancing to the tune of Our Love. 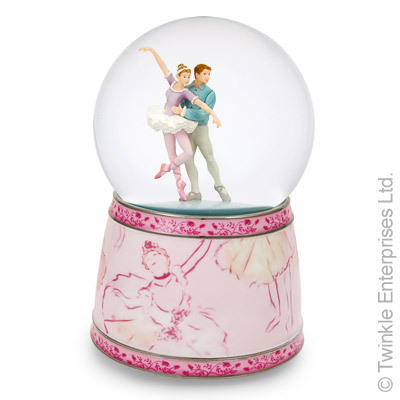 The porcelain base is decorated with Impressionist-style ballerina figures in a soft pink colour. 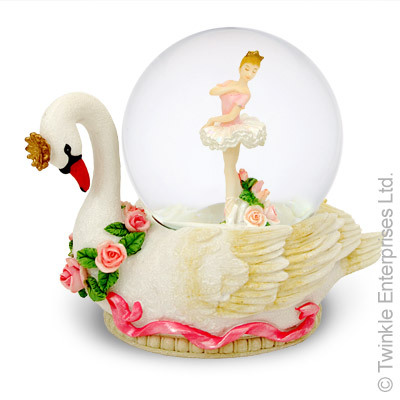 Description: This beautiful waterglobe features a little dancing ballerina on a swan. 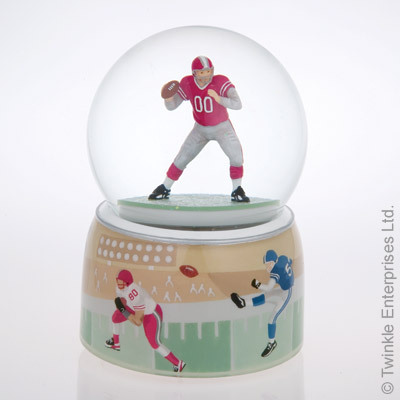 Description: Football player with double layered base. The waterglobe comes with automatic blowing glitter. 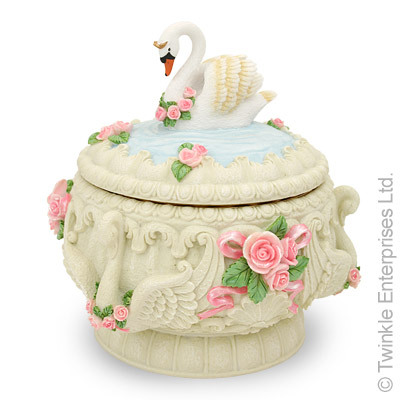 Description: This detailed music box features swans and roses. When lid is open, a little ballerina dances to the tune of Swan Lake, "TWINKLE SPECIAL NOW 20% Off! (Regular $29.50)"